5 Ways I’ve Changed to Travel More Responsibly. I have spent long nights in buses, watching forests in the distance get engulfed by forest fires spread by the acidity of dry pine planted on agricultural land. I have stayed at a heritage tea estate nestled in the Himalayas, where 2012 was the first time in its hundred and fifty years that the weather became too dry for the tea to be plucked. 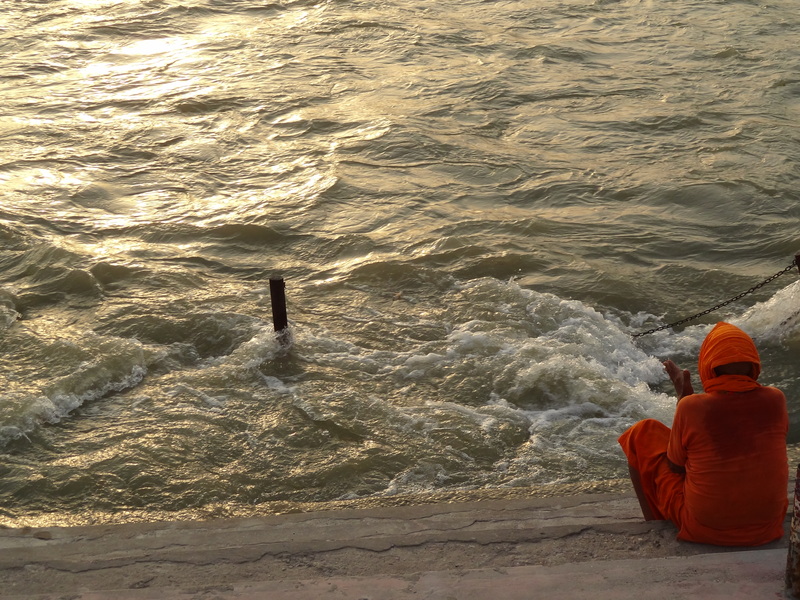 I have watched the Ganga wailing in Haridwar, reduced from India’s purest source of glacial water to a mere dumping zone for ashes, dead bodies, litter, plastic, wax candles, and whatever else we feed it in the name of religion. I have met a tribal family in North Kerala, who were forced to destroy their therapeutic home made of mud walls, cowdung floors and a thatched bamboo roof, in lieu of “government-given incentives”, and now sleep outside their concrete house every night because the natural temperature control is gone. 1. Using public transport while traveling. It is easy to succumb to the comfort of a taxi or car rental, but when you stand by the coastline and watch a grey sea roaring, you know that you have to make the trade-off. It’s not rocket science to understand that the more fuel you consume for your needs, the more toxins you create, and they ultimate grey the blue seas and make the air smell putrid. I’ve done some of my most offbeat and rugged journeys in Malaysia, Vietnam, Turkey, and most recently, in Spain, by public transport, and there is no better way to see the countryside than through the lens and stories of your co-passengers. 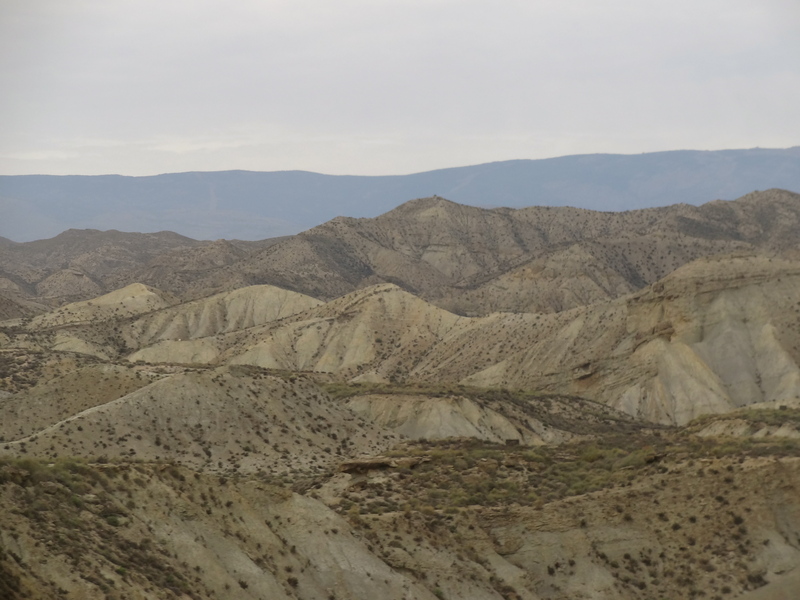 Seeing the only desert of Europe from the window of a bus. 2. Carrying my own water bottle wherever I go. Each time we buy and dump a mineral water bottle, we add around a 1000 years of decomposing plastic to the earth. Hundred rupees, on the other hand, buy me a sturdy water bottle that can conveniently slip into the side pocket of my backpack. I’ve carried one on several trips now, and finding clean drinking water to refill it has never been much of a challenge. Within India, kitchens in homestays and guesthouses are almost always equipped with water filters, and fast food chains like McDonalds seldom deny replenishing your bottle (they offer water cups for free anyway). Google can help determine whether tap water is safe to drink in the country you are visiting next; it is, for instance, in Singapore, Mauritius and most of Western Europe. Over time, I have found myself politely declining complimentary mineral water bottles offered on trains, flights and in hotels. Watching a wailing Ganga in Rishikesh. I couldn’t have imagined what it would be like to stay with a host family until my first homestay in a fruit farm in Punjab. The warmth with which I was welcomed and hosted, and the home-cooked food fed with such love, had me hooked. Ditching hotels for homestays and guesthouses wasn’t a conscious decision; it became a matter of preference. Staying with local hosts in places I’ve never been to before has given me the chance to experience life in a region, learn first hand about its culture and traditions, sample local cuisine prepared with locally sourced ingredients, unearth local treasures that no tourist maps or guidebooks talk about, and find a ‘second home’ in the most unexpected of places. Isn’t that what traveling is about, about getting to know a place and its people in a way that Google can’t let you? 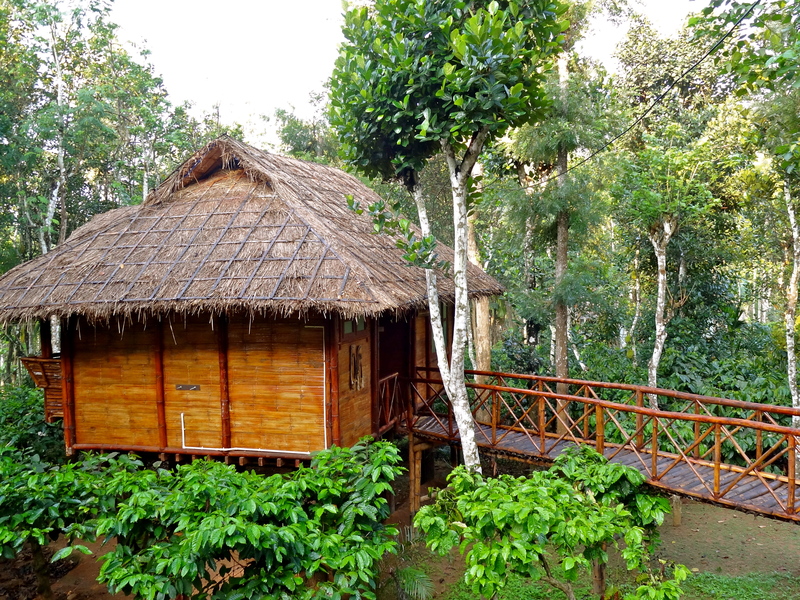 At The Treasure Trove, a family-run homestay in Wayanad, Kerala. 4. Carrying my litter back. Truth is, in a world where 90% of everything you consume comes wrapped in plastic, it is almost impossible to cut it out of your life. What is possible, as I would realize, is to ensure that your travels add no more plastic to a small town or village than it already disposes, when it has neither the capability to recycle it nor the knowledge to not burn it. As much as possible, I have made it a habit to gather my trash – soft drink cans, chocolate wrappers, chips packets and the remains of whatever else I like to munch on – and carry it back to a city with a recycling bin or waste management know-how. 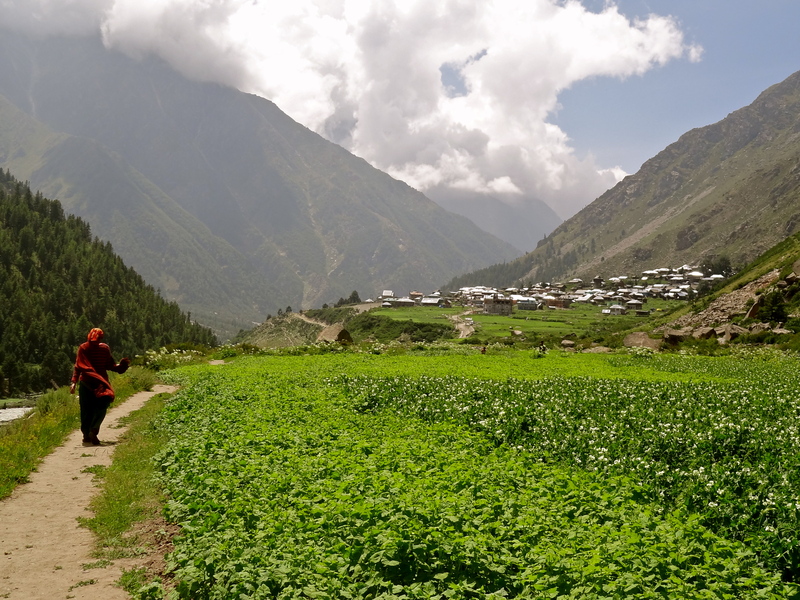 Chitkul, the last village of India before Tibet. It would be heartless to destroy such pristine beauty with a piece of plastic, no? 5. Asking for permission before clicking photos. When I first read about this photography etiquette, I didn’t understand why someone would mind having his or her photograph taken. Most people don’t, but it feels disrespectful to have someone shove a camera in your face without so much as exchanging a word with you. I experienced that first hand in a small village in Himachal Pradesh, when engaging in conversation with an old mountain lady. A man walked right up to us, and without even a smile on his face, blinded us with a flash and walked away. The lady lamented how that is nothing new, that most people visit to photograph them but leave without knowing anything about their lives. Some of these nameless pictures will be exhibited and sold. That is the day I decided that as much as the native people of a place make for good subjects for travel photography, before I click any faces with my camera, I will have both their permission and their story. I have sometimes been denied permission for photographing people because they were shy or felt their privacy would be violated, and I respect that preference. I always imagine how I would react if a stranger were to walk into my house, make small talk, and ask to photograph me for reasons unknown to me; it might creep me out or upset me. For that reason, many of my travel pictures show only the back of people, trying to catch them in action while respecting their privacy. 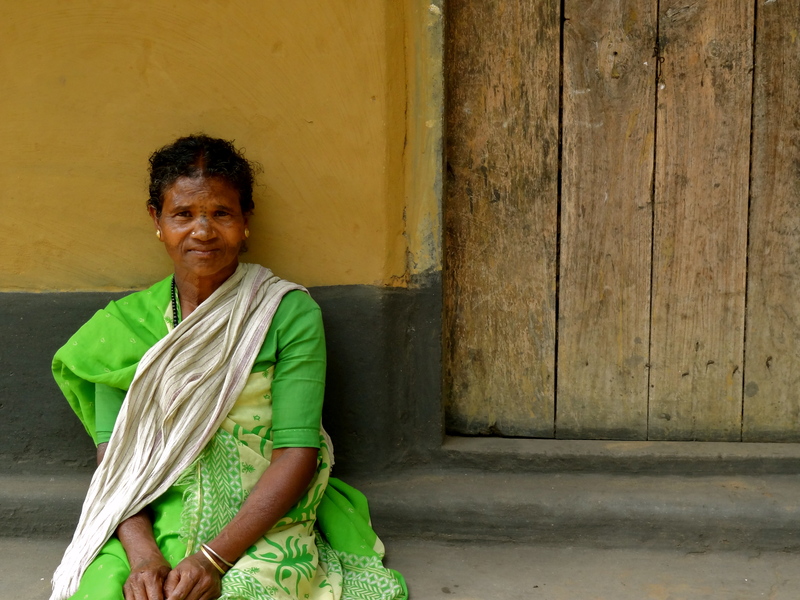 A tribal lady in Wayanad’s Chekkadi district. She was proud to show off her tattoos to me, but shy for a picture and initially refused to let me take one. On my way back, she stopped me and started posing. I shared this picture on my Facebook page, and my homestay hosts in Wayanad got it from there, printed it and hand-delivered it to her! What about you, have you ever given responsible travel a thought? Join The Shooting Star on Facebook and Twitter for more travel stories, tips and photos. I originally wrote this article for The Alternative. I agree with you on this. I drink tap water almost everywhere I go and have had no problems so far. I also think it is rude to take somebody’s photo without asking. Most people are happy to take part and I love it when I get a story as well. wow- totally agree with all of them. very thoughtful post . Thanks for sharing shivya. will be much more responsible while travelling ! I’m so glad you’re a convert, Ramit. If each of us gets one convert each, imagine how much we can decrease the consumption of mineral water bottles by! I’m definitely a tap water person and in countries that the tap water is potable I always opt for that if I can. I’ve been in Argentina for a few months and am surprised that so many Argentines buy plastic water bottles instead of drinking tap water. I carry a Nalgene around with me everywhere, and just the other day a local friend asked me about it and I explained to her the same argument that you outlined above – and she actually said she was going to change to tap water because of what I’d said! Proof that these changes really do and can happen one person at a time. Traveling responsibly is just a part of living responsibly – thank you for sharing some very important ways to do that! Thanks for sharing that; I’ve never tried Nalgene yet, but now that you mention it, I’m going to do some research. Has it worked well for you, in countries where tap water is not directly drinkable? I haven’t heard of anyone in India use it. A friend mentioned how people who live in Belgium too buy mineral water bottles instead of drinking tap water, apparently because it has too much calcium for local intake. A Nalgene is just a plastic water bottle that is extremely popular in the United States because the normal size is 32oz – just under 1 liter – so it can last you a while even if you’re hiking, and it is basically indestructible. Beyond that it has no special capabilities like filtering. In countries where the tap water is not potable I still had to buy water. There are certain filters available that fit in a Nalgene but I don’t know of any that are powerful enough to actually clean dirty water. Ah, I thought Nalgene was the name of the pill used to purify water. My bad! Someone on twitter pointed me to Steri-pen, which is a small device that uses ultra violet rays to purify water. Seems ingenious, I’m ordering me one next week. It uses the same technology as many bottled water plants. I love this post! I’ve been thinking a lot about responsible travel lately and this post is perfect. A few I already do (picking up litter, using public transport) but now I have even more ideas to try. Wow. loved it! though I already follow point num 1,2 & 4! Beautifully written and change-inspiring thoughts. Homestay sounds like an exciting option. I live in Norway and and have visited a few places in Europe. After reading this I am thinking of staying in a homestay during my next travel. Which website do you use to check for homestays in Europe? i just googled and found http://www.worldwidehomestay.com. Would be interesting to know which one you use. I usually use booking.com in Europe, but look out for family-run pensions, guest houses and boutique hotels. I tried Roomorama in Turkey and Airbnb in Spain, and both are excellent resources to find apartments offered by locals. Spain has a concept called Casa Rural, which is essentially homestays / apartments offered for short term rental by the local people. Shivya, I am glad you wrote about this. This is the one aspect of travel that need to be talked more about. I am proud to say that our family practices all of these very strictly except the homestay part. haven’t tried that yet! not for the lack of desire though. Finding a good homestay is not easy I feel. is there a site? For foreign countries, I usually use Roomorama / Airbnb or look out for family-run establishments on booking.com. Within India, it’s mostly google, and of course, at India Untravelled, we work with selected homestays too. The concept is certainly more common in the south (Kerala and Karnataka particularly), but it’s catching up soon in the north. I’m flattered 🙂 I think the public buses in Kerala are much better than those in other parts of India. And not to forget, much safer too! I love public transport, way better cheaper and nicer views than taxis. Responsible travel is increasingly on people’s minds and these are five really simple steps that anyone can follow. In my own travels I have followed these five rules without even thinking about it from a responsible travel perspective but more from a budget perspective – it’s cheaper to take the bus than a taxi and it’s cheaper to get the water from the tap (or boil it) than buying it all the time! Home stays are cheaper than hotels. And the engagement with people is something I really travel for so of course home stays and talking to people before photographing is the way to get that. Great article, reminding us how easy it is to be a good global citizen. Thanks! You’re absolutely right. I started doing many of these things to reduce expenses too, and realized that it was a much more responsible way of travelling. Have been sharing these tips on the go with travellers I meet too; I think it’s upon us to not have the places we travel to destroyed. Traveling with lighter clothes if not heavy. Yes, they are little expensive but they make travel very easy for self and for other co-passenegers/travelers too if I am carrying a small baggage and traveling via public transport. its great to go through you profile shivya .. i dont know how i find your profile and blog just searching for some new place …..what i know google+ did a great thing to me show your profile . and the profile status wow quit my job sold some stuff…………. I liked the part about carrying litter back to city for recycling. that is thought to share and I did that on my facebook page as aquote from you. Previous PostLife in Ibiza: A Photo Essay. Next PostAsk Me Anything: November 2012.